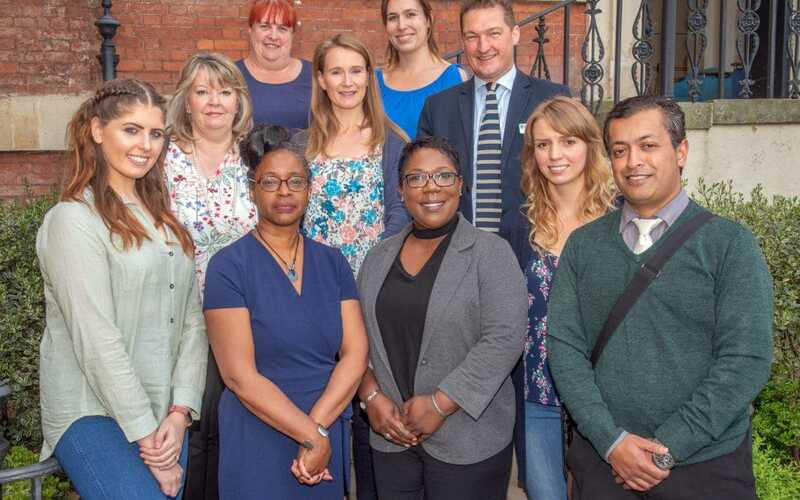 The University of Worcester welcomed 13 new apprentices to its Business School on 10 May, for the opening session of their Chartered Manager Degree Apprenticeship programme. Greeted by Dr Scott Andrews (Programme Leader), they spent three hours at the University as part of their initial induction. This group of student apprentices will be the first of a number of cohorts expected at the University as it charters new paths into Higher and Degree Apprenticeship provision. The new apprenticeship group comprises representatives from the dental sector, healthcare and educational managers. One of the new apprentices, Selina Cudjoe is a Team Leader, based at Dudley and Walsall Mental Health Partnership NHS Trust. She is particularly excited by the new challenges that the apprenticeship offers for someone in full time work, aspiring to complete degree studies: “I feel privileged & honoured to be part of the Chartered Manager Degree Apprenticeship (CMDA) where under normal circumstances degree studies perhaps would not have been available to me. As I embrace my new role in Management with Dudley & Walsall Mental Health Trust, I feel the course material will provide me with the necessary tools to undertake the position to its full potential”.